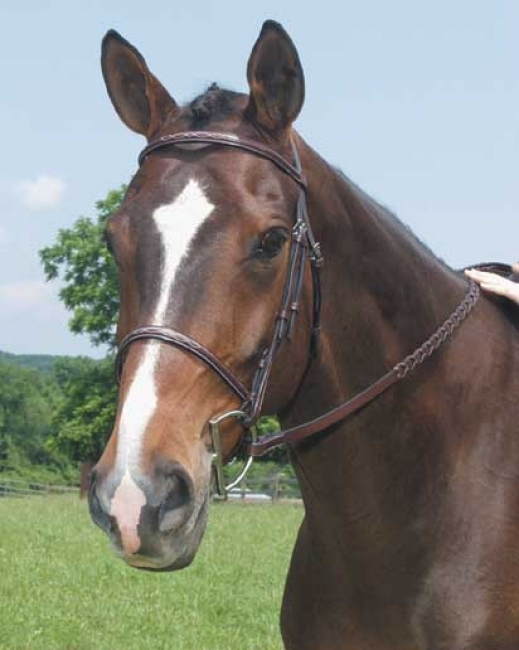 Collegiate Fancy Raised English Bridle with Reins. Slightly raised browband and noseband with a fancy stitched design, Crosby 5/8" fancy stitches laced reins. Made of English leather in Argentina. Thick leather on raised styles to prevent cracking. Stainless steel buckles are stitched down to eliminate movement. Sewn in cheek buckles keeps bulk on outside. White nylon stitching details, up to 14 stitches per inch.